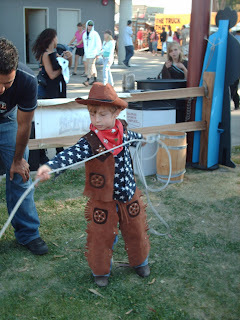 It's big week here, at the California Rodeo and everyone becomes a cowboy or girl for at least the week. Logan, I think, may truly be one at heart. 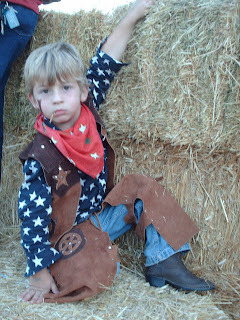 He loves to dress up as a cowboy, he even has aliases, Jedadiah Johnathan or Ron Jon, which he uses frequently. Both names made up by him. Jedadiah, I think, is in honor of the character in the movie, Night at the Museum, which he loves and Ron is Daddy's brother, who he loves too. 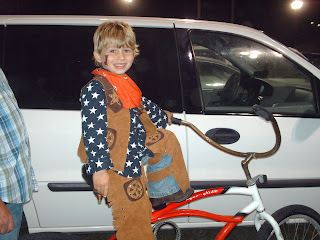 Sadly, we missed the stick horse race this year, it's been on a Thursday night for years. I rushed around like a mad woman to get us there on time, to sign him up, but found out it was moved to the next night. 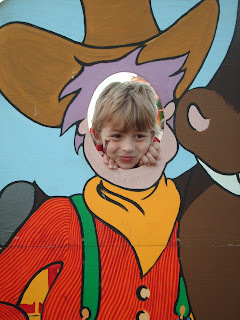 Logan and I made the best of it and had a great mother and son evening at the rodeo. 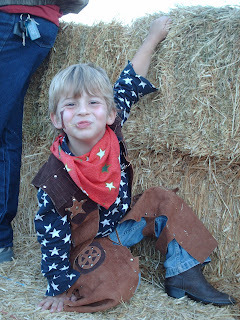 My little cowboy got a lot of attention, especially when he got his groove on, and danced for everyone sitting up in the bleachers. Certain songs just hit him a certain way and he can't contain it, he's gotta dance! If I can figure out how to post a video of it, I will. Go git 'em Jedidiah! 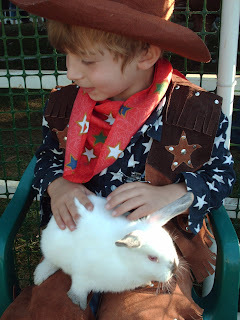 I miss the Rodeo, too. 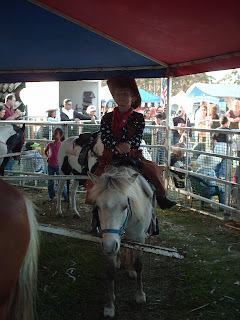 The few times I had a chance to go are vibrant memories for me...and watching the horse parades with my cousins! Glad we can stay in touch with this little cousin - with the help of this world wide web! Oh my goodness!! I didn't know you had a blog!! I just saw you on Mom's page!! Yea!! What an adorable little guy!! I am so glad we will be able to keep in touch this way!! Yea for the internet...and blogging!! 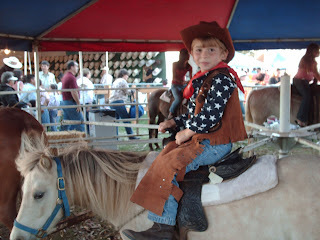 I loved the Rodeo too!! Grama Doan was the best, to take us all..and the parade!! Good memories, for sure!! I miss that stuff so much! I miss her..
Uncle Ron Jon and I love the pictures too. 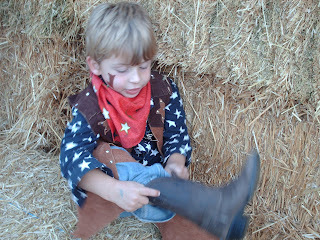 You are so good to dress him up I don't think there is a little kid any where that has more fun. You are such a good Mom! 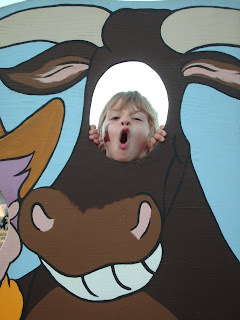 I also remember how Irene would take all the kids to the horse parade. I remember thinking how amazing it was that she would take ALL of them by herself and they would all just have such a fun time! I agree with all of you!!! 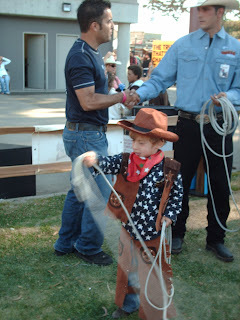 I loved going to the rodeo as a kid...I loved going to the parade with grama and I love that you guys have a blog! Your family is so dang cute!! Hannah is still talking about that really cute boy that she can't marry..:(!!! So cute!! !